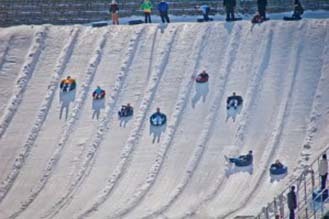 Snowtubing in the Smoky Mountains provides great outdoor fun during the winter months. Ober Gatlinburg offers snow tubing for ages 3 and older. This is a really fun winter activity for the entire family. Snowtubing in the Smoky Mountains. Image by Ober Gatlinburg.